Music and Historical Critique provides a definitive collection of Gary Tomlinson's influential studies on critical musicology, with the watchword throughout being history. This collection gathers his most innovative essays and lectures, some of them published here for the first time, along with an introduction outlining the context of the contributions and commenting on their aims and significance. 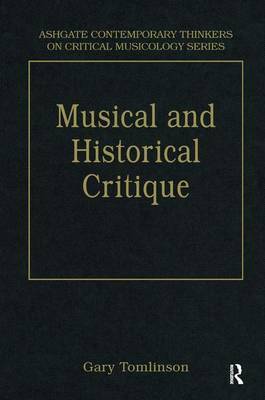 Music and Historical Critique provides a retrospective view of the author's achievements in bringing to the heart of musicological discourse both deep-seated experiences of the past and meditations on the historian's ways of understanding them.